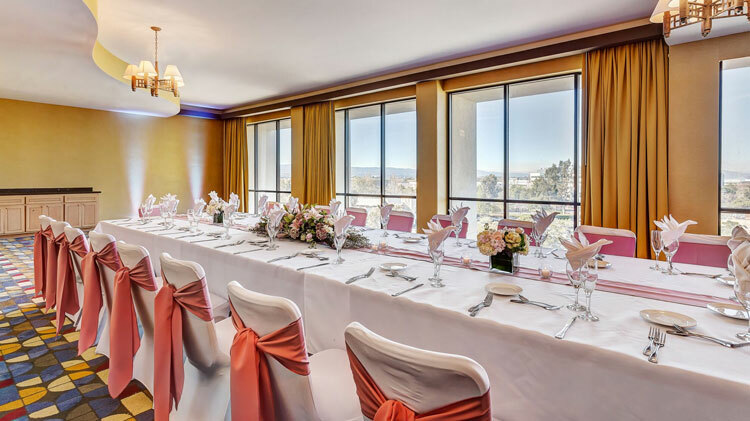 Envision a flawless event in the Bay Area and let our team at Crowne Plaza Foster City help you choose the perfect venue. From cocktail parties and trade shows to expos, our ballroom offers expansive space for large-scale corporate events. Nine light settings illuminate your event with the touch of a button and a state-of-the-art sound system makes presentations run flawlessly. More intimate meeting space and an executive boardroom surround the ballroom for break-outs or smaller meetings during your event. 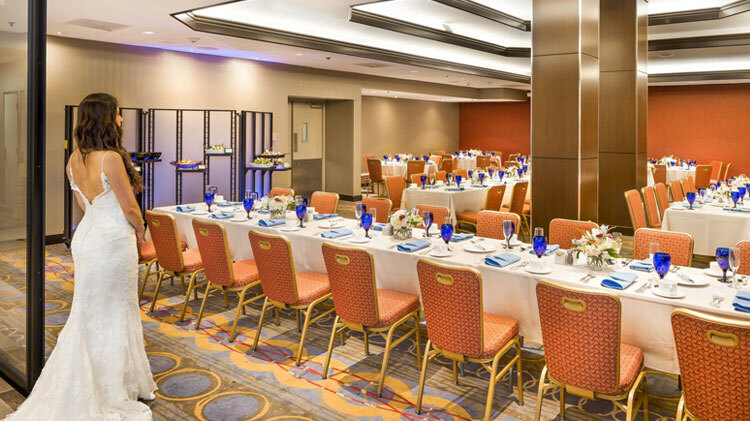 Click here to browse floor plans for our meeting rooms and event spaces, and contact our dedicated planning team to help you pick the perfect spot for your next event. 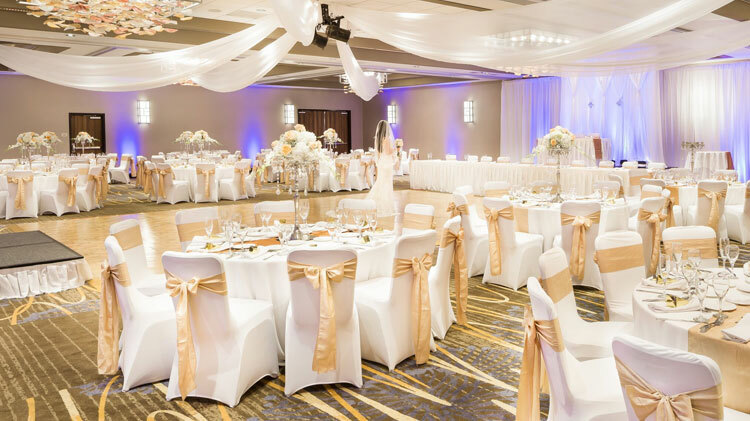 Located on the main floor, the elegant Magellan Ballroom divides into separate sections to accommodate from up to 1,000 guests. 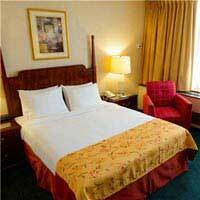 Beautifully decorated with bold, vibrant colors, the ballroom also offers 4,200 square feet of foyer space. Located on the 7th floor, the Bayview Room overlooks the Bay and San Francisco skyline and is ideal for meetings and events for 50-75 guests. The entire floor is yours, with a separate living room for a reception, dining or a break-out area. Designed for movement and creativity, the Marco Polo is a diverse venue for up to 150 guests. Enjoy cocktails and hors d' oeuvres in the Chit Chat atrium overlooking water and palm trees or host a casual business lunch or dinner.